Situated on the east coast of Anglesey Benllech is one of the most popular of the island's holiday villages. Set in a crescent-shaped bay, its pleasant beach of fine golden sand and clear blue waters are exceptionally safe for bathing and paddling. With excellent disabled facilities and practical access for both prams and disabled visitors Benllech caters for the whole family whether young or old. At low tide the sand stretches for miles giving young children plenty of space in which to play and providing a flat expanse of land, ideal for a gentle stroll. Dotted along the beach are a variety of shops and cafes or for a bit more choice the nearby town of Benllech offers a wide selection of pubs, restaurants and shops. 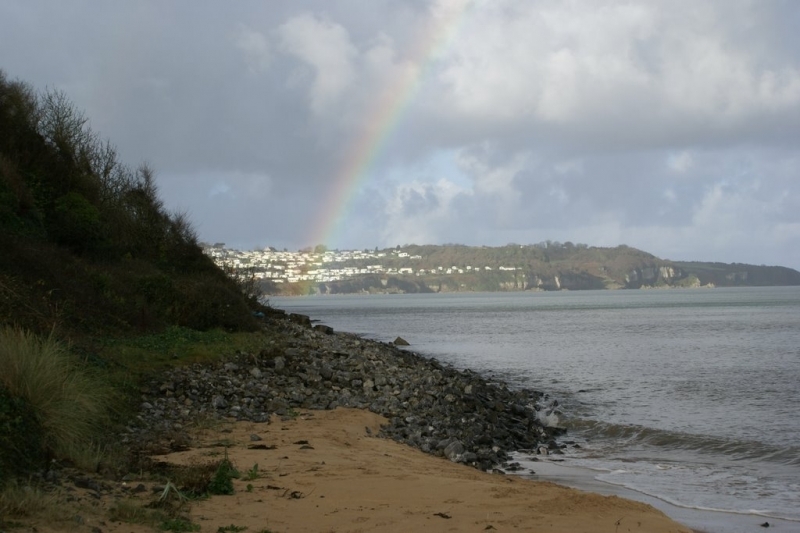 Benllech Beach is adjacent to the Anglesey Coast Path and the Wales Coast Path. The tide at Benllech Beach is currently falling. Low tide will be at approximately 10:47 AM, and the next high tide will be at approximately 4:50 PM. There is car park next to the beach. just over a mile south-southeast as the seagull flies, around 2 miles by road. around 12 miles northwest as the seagull flies, around 15 miles by road. Visitor information for Benllech Beach, Isle of Anglesey, Wales. Weather, tides, visitor comments, beach facilities, photos, nearest postcode, beach information and nearby accommodation.